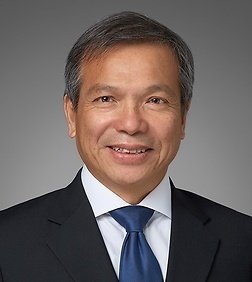 Stephen Chiang is a partner in the Corporate and Intellectual Property Practice Groups in the firm's Orange County office. Stephen previously held executive level positions since 1993 with publicly listed corporations practicing corporate counseling and executions related to legal, technology, product and business strategies. Stephen is an inventor of granted patents in the European Union Community, the United States, and Asian countries. In corporate counseling, Stephen works with senior members of corporations to advise on business sensible and achievable legal solutions to implement sustainable corporate growth strategies. The legal solutions he had executed for past executive teams include dispute resolution (litigations, arbitrations, and mediations), regulatory compliance, product launches, industry and governmental standard settings operations, intellectual property strategies for corporate growth, enforcement of IP rights, corporate governance and Board operations. He is experienced in complex multi-party agreement formation, negotiation and execution; regulatory compliance, litigation procedure and governmental affairs; strategic initiatives of corporate matters. Stephen has taken cases up to the US Supreme Court, EU Commission, Appellate Courts in South America countries, and various highest court in respective European nations. Stephen sat in the Aerospace Council of SAE for Industry standard settings and participated in the ETSI (European Telecommunications Standards Institute) committees. He participated in academia advisory boards for curriculum and educational uniformity at college and graduate levels and lectured in those schools on international trade and intellectual property matters.